I’ve been recently inundated with Jelly. 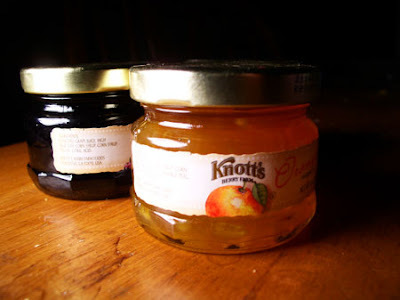 My mom gave a sampler set of jellies from the historic Knott’s Berry Farm, which has been famous for their jellies since the 1920s and is now some sort of Cedar Point-style amusement park…it’s all very confusing and odd. So far, I’ve had the apple cinnamon and the strawberry; both were excellent. My friend Mark, who has shared my recent interest in foraging, harvested mulberries off a tree in his yard. 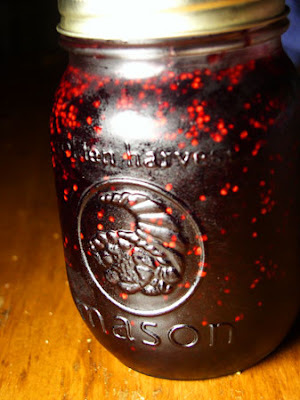 On the occasion of my last visit, he presented me with a jar of mulberry jam. My friend Ryan just returned from a two-month bike trip around Finland. 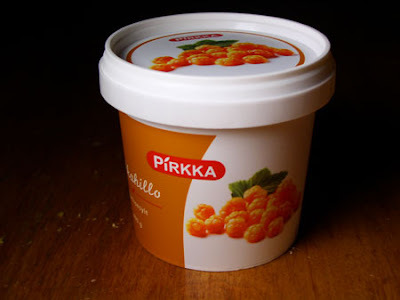 Before he left, I asked him to bring me back something typically Finnish. He gifted me this package of jelly, made from some mysterious albino berry. I’m not quite sure what to do with them all, except maybe have a toast party.